← The perfect yet healthy addition. This post is one near and dear to my heart because it’s in my stomping grounds!! I am a die-hard Giants fan and love frequenting the tasty Californian cuisine in the entire Bay Area when I visit my Dad and stepmom who have resided on the edge of the Marina and Cow Hollow. The first ooh la la dining hot spot is La Boulange Bakery. My father and stepmother live on Franklin so our most visited La Boulange is located on Polk Street. This french bistro is filled with fresh-baked almond croissants, orange and cinnamon morning buns, various breads and many more treats. They also have a full menu for breakfast or lunch but it is always a crowded place, so give yourself some time. My favorite option is to go early and grab a fresh squeezed orange juice with the homemade granola or the fantastic french toast. The special part about La Boulange is it brings France into many of the San Francisco neighborhoods. You can follow them on twitter, @laboulange, or check out their blog, Ze Boulange Blog, to see what’s new and exciting! 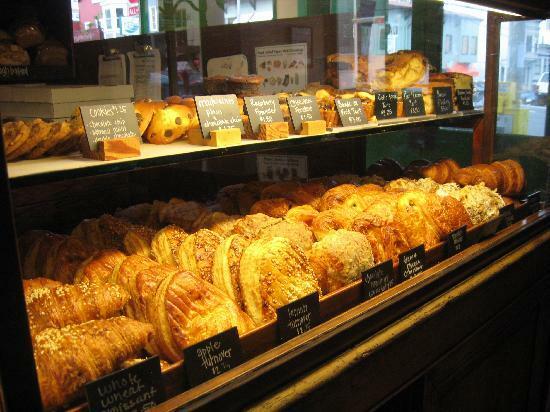 (photo retrieved from http://www.tripadvisor.com/Restaurant_Review-g60713-d1074228-Reviews-La_Boulange_Cafe_Bakery-San_Francisco_California.html). Next is Blue Barn on San Francisco’s quaint Chestnut Street. This place is one of my favorites because of their “U-Pick Salad”. Here they have dozens of fresh vegetables and a variety of lettuces, you can also add your choice of proteins and dressings. The limit is six but I can’t limit myself to the fresh goodness combined in these salads. If you aren’t obsessed with salads like me then try one of their gourmet grilled cheeses. There are seven outstanding sandwiches with extraordinary cheeses from local dairy farms. If you still aren’t enticed with these options then try sampling one of their chef inspired salads or sandwiches. They have vegetarian and vegan options and everything consumed is wholesome, organic and all locally grown. The restaurant, Lo Coco’s, has been a favorite of mine ever since I was 5 years old when my dad and I used to venture there every Friday for Pesto Pizza, a House Salad with a side of Garlic Bread and two Root Beers. By the time I was ten they knew us by name and didn’t even need to ask what we wanted to order. This Pizzeria started with two brother’s and the original is in Terra Linda, California, but we choose to drive out to San Anselmo for the atmosphere. 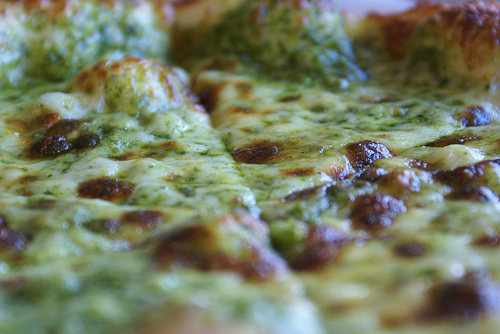 All the Pizza’s I assume would be amazing because of the thinness of the actual pizza which leads up to the bubbly and chewy crust, however, we always stuck with classic Pesto or Cheese. After dinner in the summer you can walk to the park behind the restaurant and stay for a fun night of Film Night in the Park. (Photo retrieved from http://www.flickr.com/photos/19934744@N00/2526383455/). For breakfast when we were on our way to the Russian River or hoping over to Napa to visit some family we always chose to make a morning stop at Fred’s Cafe in Sausalito. This cozy breakfast joint is my dad’s favorite place because the chefs cook the eggs to perfection while the coffee is hot and the orange juice is frothy and fresh, but it also might help that he thinks it’s named after him! When you eat here you have to order some scrambled eggs, even if it’s a small side. I am not one who is big on breakfasts but Fred’s knows how to make my mouth water. My family also considers ourselves orange juice snobs and Fred’s exceeds our expectations. Finally, the close atmosphere where you sit with other joyous customers creates a delightful experience. There are millions more I could rave about ranging from, Mamasitas for a twist on Mexican, The Grove for Sunday brunch or a weekday lunch, and Amici’s for East Coast Pizza but this is all for now. 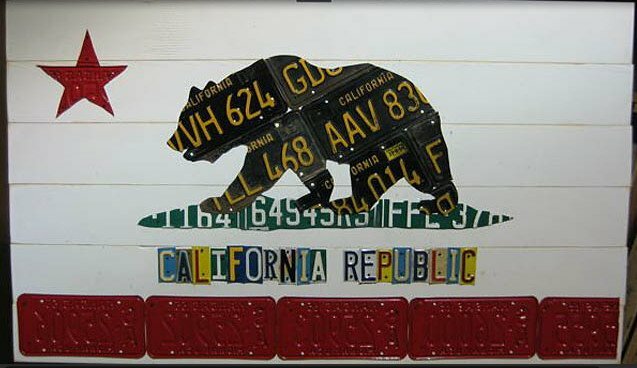 Bon Appetit in the California Republic. So true!!! I would also add Nick’s Crispy Tacos to the list! !